DL Card are a great way to showcase your products and promotions deals to your current and potential customers. DL cards can be handed out in the street, sent in the mail or displayed in store. Our DL cards are printed on thick high quality 350gsm paper ensuring they are durable. We have options to add a matt or gloss laminated finish on our DL cards that add a touch of class. These DL cards are perfect for wine and drink lists at restaurants or listing business services for your customers. Our design team at WA PRINTING is happy to help you design a DL card to your business’s specifications. 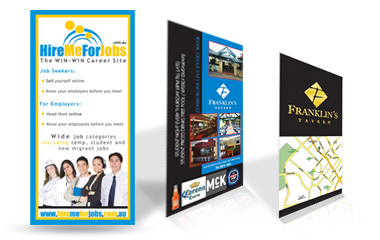 To know more about our services, contact our friendly staff at our WA PRINTING stores located in Perth and Midland.